Merlinos & Associates is again participating in the National Insurance Industry Council’s 2016 Strike Out Cancer – Atlanta event benefiting City of Hope. All proceeds from Strike Out Cancer – Atlanta benefit City of Hope through research, patient care and education programs. For over 30 years the insurance industry has supported City of Hope through an annual fundraising campaign. 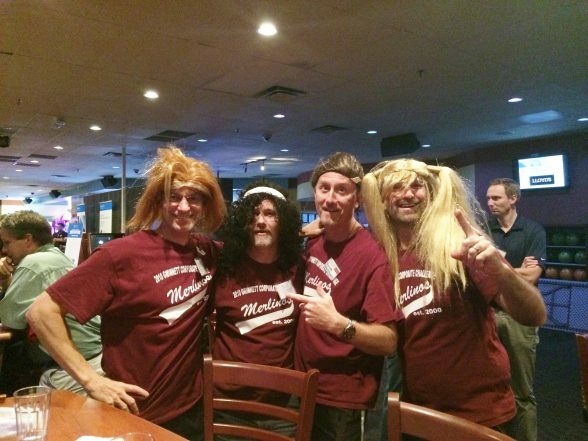 The Merlinos bowlers won the Atlanta event in 2015, and we look forward to re-capturing the title August 17 at Bowlmor Lanes in Atlanta. Come join us!